Save up to $1,000 per guest on select Crystal voyages. Book by April 30, 2019 for up to $1,000 off per guest on Crystal’s award-winning cruises, whether you choose the all-inclusive intimate ocean vessels, or the all-suite all Butler-serviced river ships. Select voyages only. 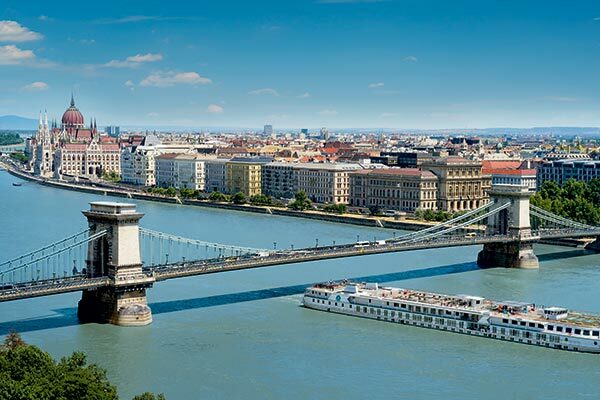 Crystal Cruises – ocean, river and yacht – show you the best of worldwide destinations including the great rivers of Europe. **Crystal River Cruises and Crystal Yacht Cruises only. The pastoral beauty of the Wachau Valley enchants with visits to Melk, Linz and Passau, while overnights in Vienna and Budapest feature dazzling architecture. Per person, double occupancy, C3. Spend Thanksgiving exploring the white sands and blue waters of a tropical paradise, where you will find dazzling coral formations, exotic fish, mist-enshrouded peaks and, most important, the warm company of friends and family. 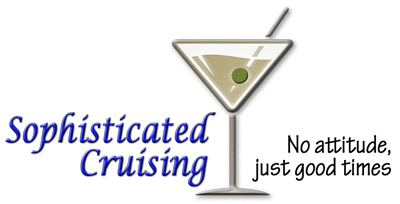 Cruise Round Trip from Fort Lauderdale this Thanksgiving, featuring Crystal’s Wine & Food Festival. All fares and savings are per person, in U.S. dollars based on double occupancy. Cruise Fares and Your Exclusive Fares are cruise only and do not include taxes, fees, and port charges which vary by voyage. Your Crystal Savings are subject to availability at time of booking. Your Exclusive Fare includes Crystal Savings as well as any applicable Savings if available and does not include Crystal Society or Early Full Payment savings. If shown, categories OG, VG or PG are guarantees for positive space only; room numbers may not be requested and will not be assigned until 24 hours prior to cruise departure date; 100% payment is due at end of option period; Guarantee Only Fares may not be combinable with any other promotions including but not limited to Crystal Society Savings, Onboard Booking Discount, Early Full Payment Discount, Back-Back Savings, Combo Cruise Savings, Strategic Partnership Amenities, Group Promotions and Cruise Night Event Savings. Optional Personal Select Air Program is available to purchase for full-fare, full-cruise guests whose travel originates from a U.S. or Canadian airport and includes all government taxes and fees. Note: Early Full Payment savings do not apply to Personal Select Air. Solo Traveler fares are available upon request. Crystal Society Savings are per person based on double occupancy. 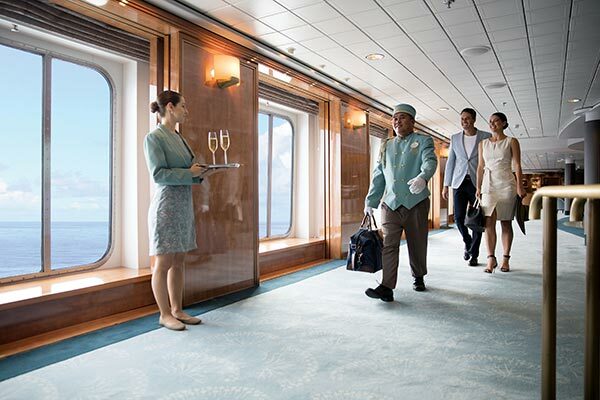 All offers may not be combinable with other promotions, apply to first two full-fare guests in stateroom or suite, are capacity controlled, subject to availability and maybe withdrawn or changed at any time without notice. For complete Cruise Fare and Promotional Information and General Ticket Terms and Conditions, contact your Ensemble Travel Advisor. 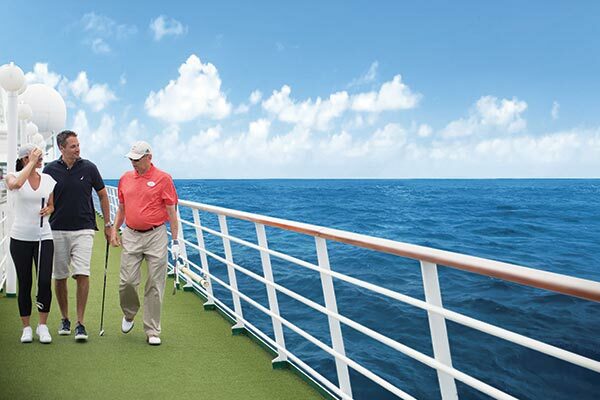 Crystal Cruises, LLC reserves to the right to correct errors or omissions and change any and all fares, fees, promotions and programs at any time without notice.